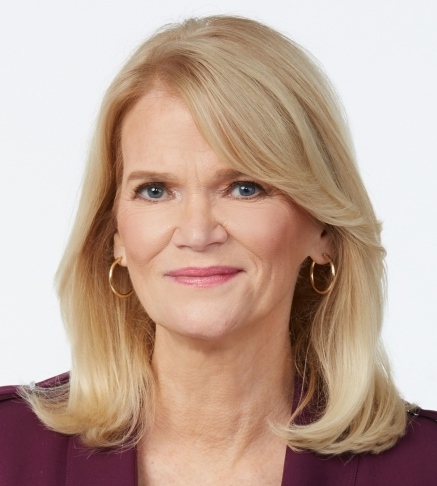 ABC News chief global affairs correspondent, This Week co-anchor and presidential debate moderator Martha Raddatz has been recognized for her work covering the military on countless occasions over the years. After last night, she can add one more to her resume. 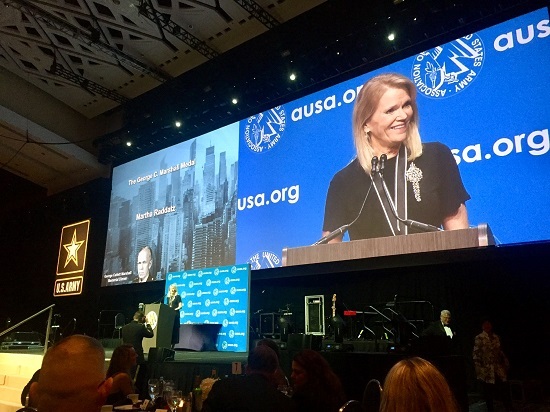 Raddatz received the Marshall Medal from AUSA (Association of the United States Army) at its black-tie gala in D.C. on Wednesday evening. The Marshall Medal is the organization’s highest honor, and she was joined by family, ABC News colleagues and U.S. soldiers in the audience to celebrate. ABC Newsers in attendance included Barbara Fedida, Julie Townsend, Jonathan Greenberger, Elizabeth McLaughlin (ABC Pentagon reporter who is one of Raddatz’s mentees) and Luis Martinez (ABC News Pentagon reporter). “As a journalist, she’s contributed immensely to the narrative of truth, emotion and experiences of the men and women of our armed forces in dangerous and poignant times in defense of our nation’s freedom,” said General Carter Ham, president and CEO of AUSA, before introducing the longtime ABC Newser. Raddatz has made dozens of trips to Iraq, Pakistan and Afghanistan. She was the only television reporter to fly in a combat mission over Afghanistan in an F15 fighter jet, and she was the first TV journalist allowed inside an undisclosed location in the Middle East where the U.S.-led coalition is coordinating the fight against ISIS. In addition to her decades at ABC News, in 2007, Raddatz published The Long Road Home, which Nat Geo adapted for a scripted limited series last year.